This is one of those unique amigurumi toys that will be a favorite both with the owner and with the cat. 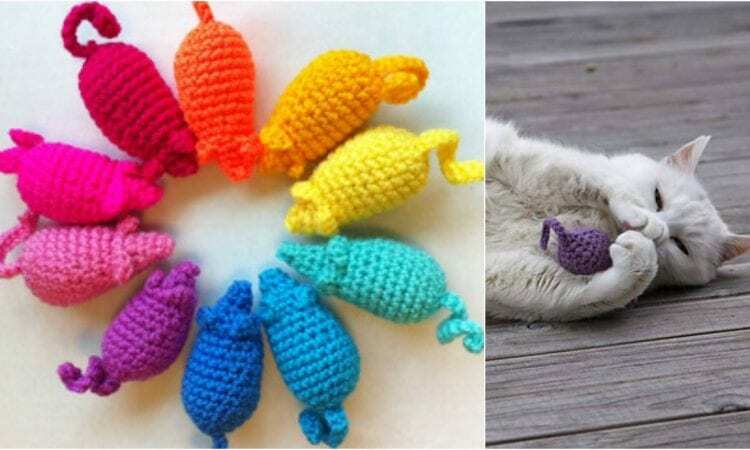 These lovely little crocheted mice are meant to be catnip filled, for your feline’s enjoyment. At the same time, as you can see, the endless possibilities of colors make these guys particularly suitable for larger amigurumi collections and sets, such as cat and mouse displays.